This might seem a rather frivolous topic but… I went to high school every day wearing Rainbows sandals. Shoes never really crossed my mind. After only a few weeks here my freshman year, I was so surprised at how many people sport the same footwear! Most of these types of shoes I had never seen before coming to Middlebury, but here’s a heads up for those of you who will be experiencing a change in climate when you get to school! 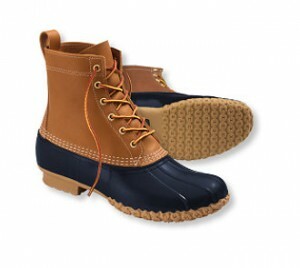 Bean Boots: all-terrain, all-weather, and somehow worn from November through April. Potentially even May this year. You’d think they’d only be worn for duck-hunting, but as it turns out, are acceptably paired with jeans, skirts, and even leggings. 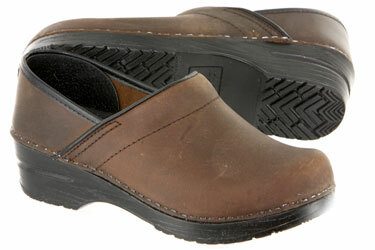 Dansko Clogs: comfortably crunchy and Vermont-sensible. 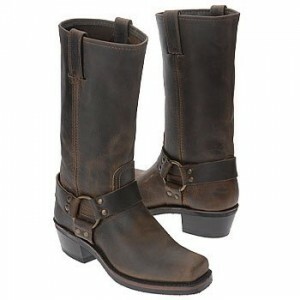 Frye Boots: they’re everywhere. Nice looking leather and appropriate for everything from class to bike riding to a capella concerts. 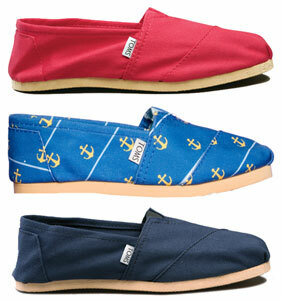 Toms: comfortable slip-ons that give back. 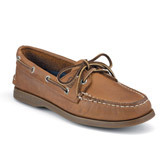 Top Siders: again, they’re everywhere. As soon as it’s warm enough to go without socks! 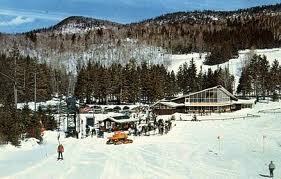 This entry was posted in Student Life, Vermont and tagged fashion on May 3, 2011 by Melissa Segil.